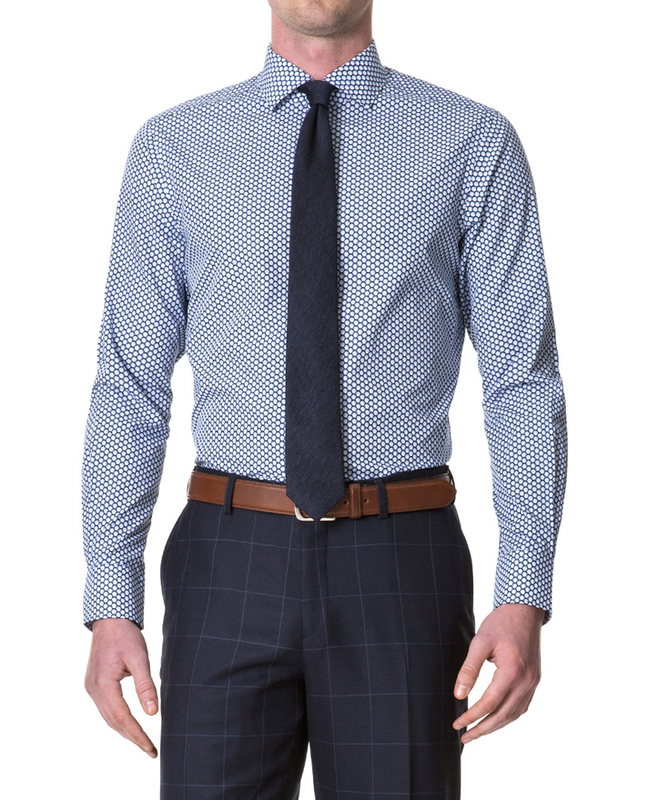 This shirt is crafted from a super smooth broadcloth made in Italy by Albini. The fabric features a shell print which makes a bold statement for summer. Designed with a spread collar, rounded cuffs, internal split yoke and finished with premium mother of pearl buttons.